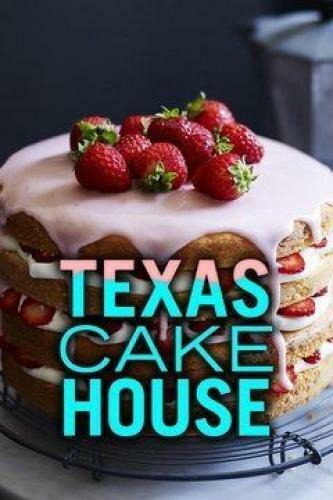 When will be Texas Cake House next episode air date? Is Texas Cake House renewed or cancelled? Where to countdown Texas Cake House air dates? Is Texas Cake House worth watching? In Texas Cake House, cake artist Natalie Sideserf has made a name for herself with some of the most-intricate cake sculptures in the world. Her husband, Dave, has quit his day job to support her in her business, and now this young couple is going all in. They're creating the most-amazing cakes their beloved city of Austin has ever seen. Natalie and Dave Sideserf are best known for making crazy creature cakes, so when Fantastic Fest -- the Austin-based film festival celebrating horror, sci-fi and fantasy -- needs a cake to honor their director of the year, they know exactly who to call. Meanwhile, the Austin Aquarium orders a Giant Pacific octopus cake for their big family night event, and Natalie tries a new technique to bring "Hank" the octopus to life.Natalie and Dave Sideserf are best known for making crazy creature cakes, so when Fantastic Fest -- the Austin-based film festival celebrating horror, sci-fi and fantasy -- needs a cake to honor their director of the year, they know exactly who to call. Meanwhile, the Austin Aquarium orders a Giant Pacific octopus cake for their big family night event, and Natalie tries a new technique to bring "Hank" the octopus to life. Texas Cake House next episode air date provides TVMaze for you. EpisoDate.com is your TV show guide to Countdown Texas Cake House Episode Air Dates and to stay in touch with Texas Cake House next episode Air Date and your others favorite TV Shows. Add the shows you like to a "Watchlist" and let the site take it from there.